The free Health Insurance Plans for North Dakota through New Mexico templates are here to save the day if you don’t know what healthcare plan to go with for 2017. 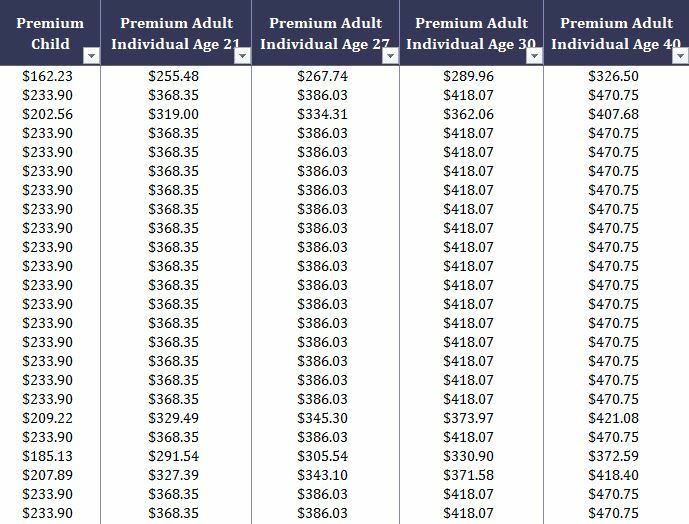 This set of Excel templates were designed to list all the major features of every medical insurance provider for these five states and give you the tools needed to narrow down the results until you find the perfect plan. Normally, this would take hours and hours of research but we’ve made the search fast and simple. All you need to do is read the directions below to learn how to download and use the template for your state. These templates cover plans for North Dakota, Nebraska, New Hampshire, New Jersey, and New Mexico. You’re going to download the free template file directly to your computer first. Start by scrolling down and selecting the link next to your state of residence. When you have the document downloaded, click the file to open the sheet. Here are the benefits that you can immediately start using once you download the template. Filters to find what you need. Now, you may feel a little overwhelmed with all the information that comes up with this free template but hold on and you’ll understand how to use it in a snap! Choose your state, county, and provider by clicking the arrows in the top row of the first 3 columns and unchecking all other options. This will automatically update the screen to display only the options you chose. From there, it should be pretty simple to use. You will go through the remaining purple columns and select the elements of each plan that you like and what you will be left with is the perfect plan for you!